Based on RK Narayan’s novel of the same name, the film was directed by Tad Danielewski. But reviewers thought it was ‘clumsy and artless’. 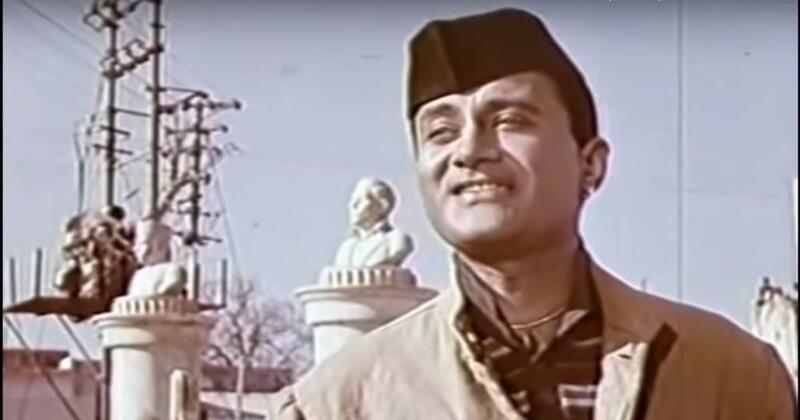 A bootleg copy of the English version of the Dev Anand-starrer Guide (1965) has surfaced on the internet, proving that cinephiles have the passion and imagination that studio executives lack. Out of circulation for years and barely seen in India, The Guide, written by Pearl S Buck and directed by Tad Danielewski, was based on a 1958 novel by RK Narayan. Set in the fictional town Malgudi that served as the location for several of Narayan’s stories, the novel inspired a Broadway play and two films in Hindi and English. The Hindi production is the best-known of the lot, but it was the English-language The Guide that was planned first, as lead actor and producer Dev Anand writes in his autobiography Romancing with Life (2011). The addition of a definite article to the film’s title isn’t the only difference between the projects. As a viewing of the bootleg version proves, The Guide is an impoverished cousin to the Hindi version. Its lead actors, including Dev Anand and Waheeda Rehman, speak entirely in English (the former delivers his dialogue as though he is in an elocution contest). The sequence of shots, style of filming, story treatment, character arcs and denouement bear little resemblance to the Hindi movie. The relationship between Anand’s Raju, a smooth-talking charlatan who takes up with the married dancer Rosie (Waheeda Rehman), has overtly sexual tones, and neither character gets the stab at redemption afforded to them in the Hindi movie. There is even a suggestion of a kiss between the leads. Not one of SD Burman’s brilliant songs leaven the experience. Waheeda Rehman and Dev Anand in The Guide (1965). Courtesy Stratton Productions/Navketan International. None of these drawbacks was in sight when Dev Anand in 1962 began to plan a dual-language film with an Indian story, an Indian cast and an American director. The flamboyant actor and co-founder of Navketan International was plotting an international crossover much before the likes of Shashi Kapoor, Om Puri and Irrfan. As Anand writes with characteristic verve in Romancing with Life, the project had its origins in a meeting with Tad Danielewski at a party during the Berlin Film Festival, where Anand’s film Hum Dono was screened. Danielewski and the acclaimed American writer Pearl S Buck ran a film company together. They wondered if Anand would star in an American production based on an English novel by an Indian author. Dev Anand in The Guide (1965). Courtesy Stratton Productions/Navketan International. Anand eventually found the book that would serve the purpose. “I read it at one go…I thought it had a good story, and the character of Raju, the guide, was extraordinary,” Anand writes about Narayan’s The Guide. Pearl S Buck was also familiar with the book, and Anand jetted off to the United States of America, where it was decided that Buck would write the screenplay and Danielewski would direct. There was one glitch: Anand hadn’t bought the rights yet. He traced Narayan’s number and telephoned him. “We could shake hands on a project that can conquer Hollywood,” Anand recalls telling the writer. Anand was in a great rush to commence the production. “Catching the fever of hurry characteristic of the film world”, as Narayan drily observes in his essay, Anand flew Danielewski and Buck to Mumbai. 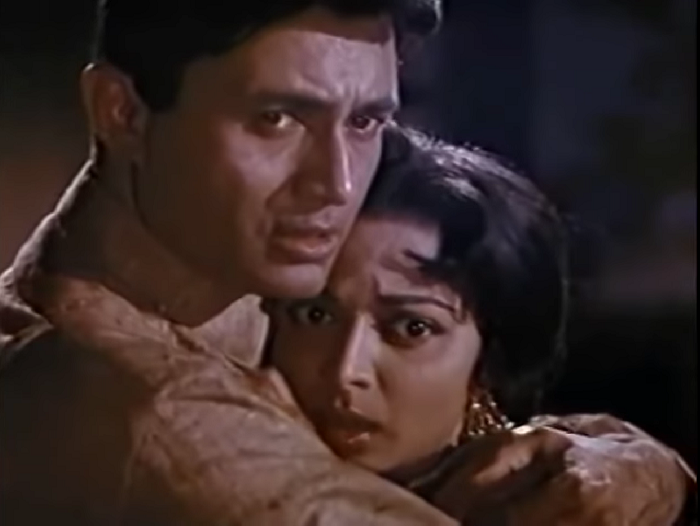 Waheeda Rehman, who had worked with Anand in several films, was cast as Rosie, the suppressed wife of an archaeologist who pursues her dream of becoming a professional dancer through her relationship with the guide Raju. “Pearl Buck took charge of her English diction, and having her as a tutor was a matter of great pride for Waheeda,” Anand writes. 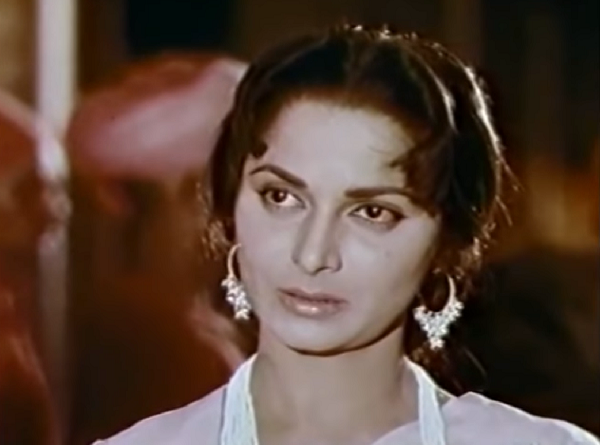 Waheeda Rehman in The Guide (1965). Courtesy Stratton Productions/Navketan International. The Hindi version was also underway, with Dev Anand’s brother, Chetan Anand, as director. 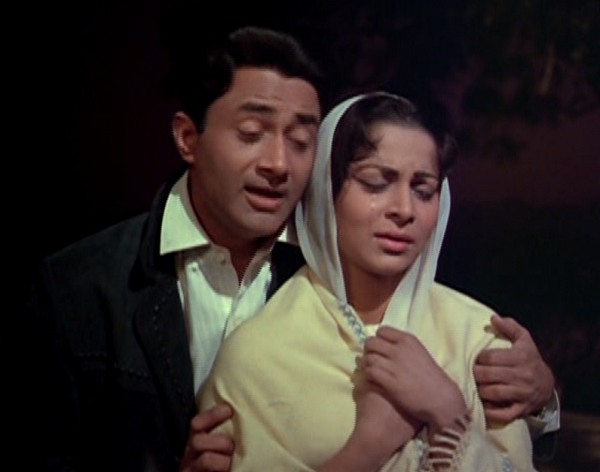 “The idea was to film the scenes common to both versions simultaneously, a Hindi shot to be immediately followed by the same shot in English, to save time and money,” Dev Anand writes. Shooting began, but severe differences of opinion broke out between the directors, Dev Anand recalls. Endless arguments and varying approaches to the same material began to delay the production, which was already expensive to begin with. Dev Anand decided to complete the English version first. Chetan Anand took the opportunity to exit the project and focus on his film about the Sino-Indian war of 1962, Haqeeqat. Dev Anand turned to his other brother, the gifted Vijay Anand, who had previously made three films for the family’s Navketan banner. 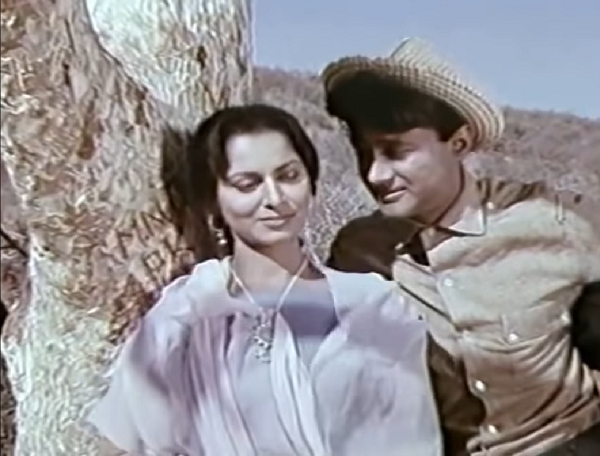 Dev Anand and Waheeda Rehman in Vijay Anand’s Guide (1965). Courtesy Navketan International. Dev Anand took the failure in his stride. “The film did not fare well, but it gave me a semblance of recognition in a new arena… The new experience was rewarding enough,” he writes in Romancing with Life. The American release got Anand an invitation from legendary producer David O Selznick to star in a Hollywood production. The movie was to have starred Anand and American actress Jennifer Jones, and was to have been shot in Kashmir. However, Selznick died of a heart attack in June 1965, and “the project died with him”, Anand writes ruefully. Anand wasn’t done with Hollywood yet. He bought the rights to Manohar Malgaonkar’s The Princes, the 1963 historical fiction about a royal family. 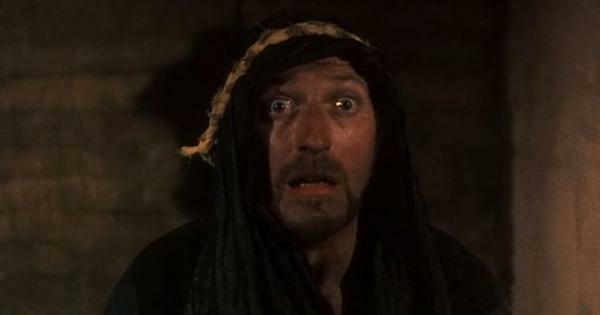 Anand wanted to cast British actor Alec Guinness as the king, but that project got delayed and was eventually dropped. In 1970, Anand took one last bash at international fame by starring in an Indo-Filipino drug smuggling drama called The Evil Within. The movie, in which Anand played a secret agent, wasn’t released in India. The poor performance of The Guide affected the prospects of the Hindi production. Vijay Anand’s Guide initially did not find any distributors. Anand blames it on “anti-Guide lobbyists”, but perhaps the hesitancy had something to do with the theme of adultery that runs through Guide. Anand faced some heat from the censors, and got the film cleared only after the intervention of Prime Minister Indira Gandhi. 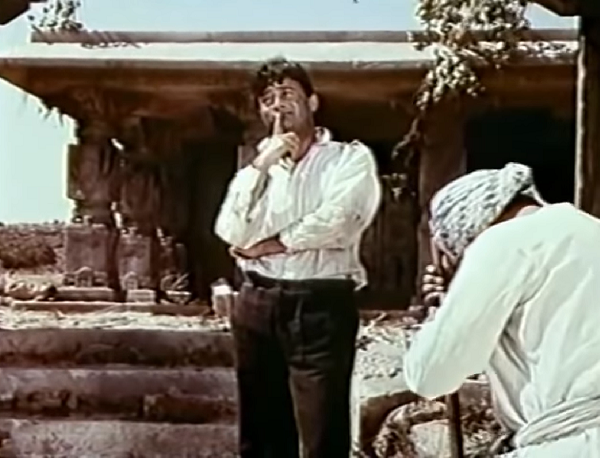 Although Guide did not fare as well as expected when it was eventually released in 1965, “as time passed, people found more and more meaning in it, and enjoyed seeing it again and again”, Anand writes. A third version was cut, this time to submit to the Oscars as India’s official Foreign language entry. Like the English-language The Guide, this version was edited for length, with most of the songs deleted. Dev Anand devotes four chapters in his memoir to the making of the two films. Narayan responded with a single essay. Misguided Guide is a masterly account of an author’s perspective on his book being transformed into a screenplay. 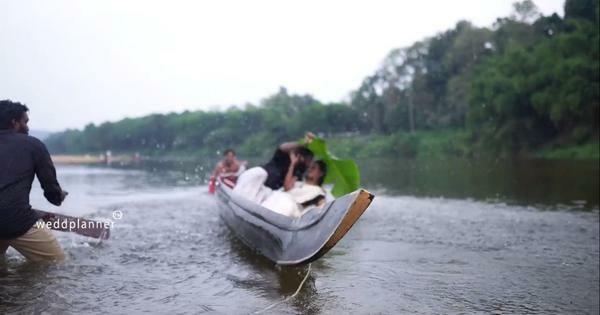 Narayan was involved with the process of filming The Guide, and his memories are anything but fond. He casts a sardonic eye on Dev Anand’s famed energy levels. The Hindi movie star was willing to pay Narayan whatever price he asked for the rights, and initiated a flurry of “Long Distance Calls, Urgent Telegrams, Express Letters, sudden arrivals and departures by plane and car” once the production began. Naryan was trotted out before the press as the shooting progressed, and he watched with mounting horror as his beloved novel morphed into something he didn’t seem to recognise. 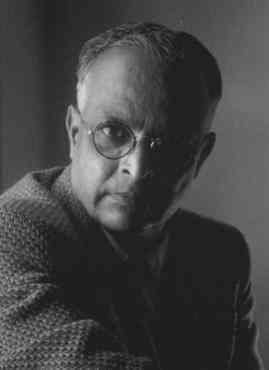 RK Narayan, Courtesy Wikimedia Commons. By Source, Fair use. An early bone of contention was the film’s locations. The Guide’s director Ted Danielewski came to Mysore, which inspired the fictional Malgudi, to hunt for locations. Among the sites that were seen were the banks of the Kaveri river, Nanjangud town and the Gopalswami hills. Among the filmmakers who wanted to adapt The Guide was Satyajit Ray. However, the Bengali filmmaker told Narayan that he would not be able to recreate Malgudi for the screen. The English movie was to have had a kissing scene, but Waheeda Rahman “rejected the suggestion as unbecoming of an Indian woman”. Dev Anand was “willing to obey the director, but he was helpless, since kissing is a cooperative effort”. What do we see in the film is a post-coital sequence and a suggestion of a lip-lock. Unsurprisingly, Narayan didn’t care for either of the movies, especially the depiction of Rosie as an all-round dancer rather than a Bharatanatyam exponent. Probably referring to the Hindi version, Narayan writes, it “converted my heroine’s performances into an extravaganza with delicious fruity colours and costumes”. One good thing did come out of the episode: copies of the book sold out, since so many people were involved with the production, Narayan notes. Vijay Anand’s movie now ranks as a popular Indian classic. But the English-language production is, at best, a curio for scholars and completists.